Bachelor Party Comedy C.D. - If you or a friend is getting married soon and planning a bachelor party this C.D. is the only entertainment you will need; except, of course, the strippers. It's like having your own stand-up comedian and band right there at the party. The three comedy monologues and two outrageously funny songs will have you and your friends laughing so hard you may just miss your wedding. 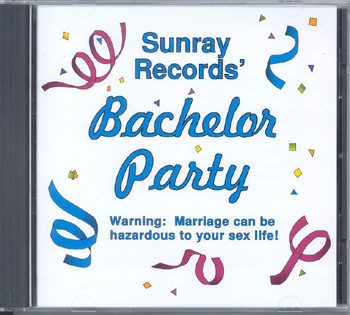 Buy it, Play it at the party and have a good time. It could be your last good time!!!! But, before buying the c.d. click on Marriage Contest Rules to learn how to order and enter the contest.